This article was originally published by The Diplomat on 13 November, 2015. Between 2014 and June 2015, China conducted four major tests of its hypersonic missiles (with a fifth test in August). The fourth test of Wu-14, its ultra high-speed nuclear delivery vehicle, demonstrated a capacity for “extreme maneuvers.” It was assessed as travelling at a speed of Mach 10 (flying at 10 times the speed of sound or approximately 7,680 miles per hour). To understand this in comparative terms, a missile flying at subsonic speed can reach a maximum of 500-600 miles per hour. To qualify as “hypersonic,” a missile would have to move at least five times the speed of sound (Mach 5), as well as be able to evade counter-fire and strike with great precision. To date, no country has achieved this performance but several nations are working on it. to strike with unprecedented speed and precision. Four other countries in Asia are known to be developing civilian or military programs for supersonic and hypersonic systems: Japan, India, South Korea and Taiwan. Russia is also pursuing hypersonic capabilities and aims to acquire an operational hypersonic missile by 2030. 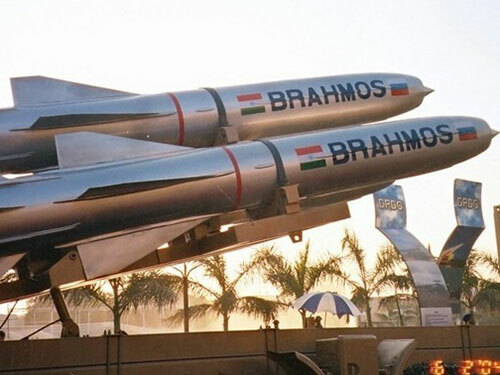 India and Russia also worked together on the hypersonic BrahMos-2. The United States is determined not to lose momentum. In June 2015, the Defense Advanced Research Projects Agency (DARPA) commissioned the arms developer Raytheon to develop hypersonic missiles. Historically, however, the U.S. has been the trendsetter in the development of hypersonic systems and China, despite its latest successes, is now merely playing catch-up. Especially since September 11, 2001, the U.S. has stepped up its efforts in “prompt global strike” capabilities. Such capabilities would allow it to deliver explosives anywhere on Earth within one or two hours. the Pacific Ocean when its fuel supply was exhausted. Successive testing took place in 2011 and 2012 but failed to meet projected goals. The round of tests and setbacks highlighted the technological difficulties that must be overcome in order to develop a system that is holistically functional, in terms of the materials and guidance systems. Many critics say the U.S. has been slow to develop the technology, giving a chance to competing nations to gain ground and causing the U.S. to lose its strategic advantage that was long assured by its naval supremacy and stealth warplanes. The interest in the development of supersonic and hypersonic systems of propulsion is clearly justified by their outstanding operational capacities, which are far greater than existing systems. The race for high-speed systems has been encouraged by the fact that more and more countries have improved their active counter measures against cruise missiles. However, with the technology concurrently developed by several nations, we are on the brink of a new arms race, with significant risks and new geopolitical pressures. In this context, some argue that a test ban is necessary. For most operational needs today, subsonic missile speed is generally considered sufficient. Yet it has proven critically insufficient at key historical moments. Many strategists remember August 20, 1998. On that day, U.S. President Bill Clinton tried (and failed) to take out Osama bin Laden by launching Tomahawk cruise missiles from the Arabian Sea, targeting an Al-Qaeda training camp in eastern Afghanistan. Travelling at a speed of approximately 550 mph, the Tomahawks needed two hours to reach their target, by which time bin Laden had already been gone for an hour. This example has often been cited as an illustrator of the urgency to develop faster systems, able to strike with greater speeds. Supersonic and hypersonic missiles could overcome the constraints of time, distance, and advanced early warning systems. In a scenario where a missile would have to travel a distance of 1,000 kilometers to reach its target, a subsonic system (at 800 km/h) would need 75 min, whereas a supersonic system (Mach 2.8) would need 17 min and 38 seconds and a hypersonic one (flying at mach 6) just 9 min and 30 seconds. The propulsion system plays a critical role, impacting the speed, range, and payload of a missile. The major propulsion systems currently in use are turbojets, turbofans, and ramjets. Supersonic systems are powered by ramjet engines and operate in the range of Mach 2-4, while hypersonic missiles operate on scramjet engines and over Mach 5. To reach hypersonic speeds, current systems will need to be replaced by what engineers call “air-breathing” systems, which could be achieved by scramjets (also called “supersonic-combustion ramjets”). Scramjet technology is only in the testing phase, and remains one of the greatest technological hurdles in the development of hypersonic systems. In comparison to turbojet and turbofan engines, which have high thrust levels, ramjet and scramjet engines are simpler in design as they lack rotating components (and therefore do not have major moving parts such as spinning blades). However, turbojets consume a lot of fuel, which makes them very heavy and impractical for long-distance flights. For hypersonic speeds of Mach 5 or above, another type of propulsion system would be required, in which combustion would happen differently. The hypersonic vehicle would take oxygen from the atmosphere rather than carry it in the form of fuel oxidants. In the other systems, when a rocket carries its own fuel, it also carries with it the oxygen needed for combustion in airless space. Scramjets are projected with a shaped inlet that slows the flow of incoming air but not enough to go down to subsonic levels. They have a very complex operating cycle and create numerous difficulties for engineers, in terms of ignition or possible explosions. Despite these difficulties, the efforts to make hypersonic systems operational continue. China’s claimed success with the first tests of its technology has caused significant anxiety in the U.S. as well as in other Southeast Asian nations. The U.S., which previously recorded several setbacks with hypersonic technology development, now has further impetus to persevere on its hypersonic projects. The emergence of hypersonic systems raises familiar geopolitical tensions. India and Russia are claiming to have a joint plan to develop a hypersonic missile. Pakistan might be the next to join the race. Other Western countries will want to invest in the technology as well. There are few reasons why France or the United Kingdom would not embark on similar efforts. Testing of the technology is crucial in the process of development. To prevent an escalation, a test ban for hypersonic missiles would provide a strong arms control mechanism. Some have suggested that this should begin with an informal moratorium among the countries currently developing it, including the U.S., China, India and Russia. These countries would commit to putting their plans to test hypersonic technology on hold. At the same time, it has been argued that a test ban could be perceived as discriminatory since some countries have already tested prototypes of the technology. The technology could create enough friction to renew strategic arms races and geopolitical rivalries. Further trust-building measures and dialogue are urgently needed, but the prospects are not bright. In general, countries and international actors have not been very cooperative in the numerous urgent regulatory steps required by emerging strategic technologies. Globally, we have still to address existing security threats such as artificial intelligence, robotic warfare, and synthetic biology. Hypersonic missile development is likely to proceed at full speed. Tensions between countries, competitiveness, and national pride will make the option of pursuing hypersonic missiles attractive, although in the long term, that could be deleterious to a peaceful international environment. Prof Nayef Al-Rodhan (@SustainHistory) is an Honorary Fellow at St. Antony’s College, University of Oxford, and Senior Fellow and Head of the Geopolitics and Global Futures Programme at the Geneva Centre for Security Policy. He is the author of Meta-Geopolitics of Outer Space: An Analysis of Space Power, Security and Governance (Basingstoke: Palgrave Macmillan, 2012).